It is the first POP UP SHOP opening in Sapporo where snow still remains! ! I will bring lots of colorful and fun products that are energetic ! ! You can enjoy tomotono world like pop art. 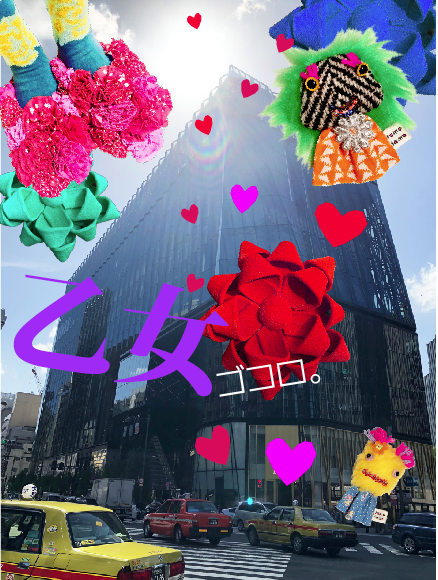 Also, wool cube wool who is making omoro cute goods is also open together. This is also colorful. Please look forward to it. I am looking forward to seeing you all in Sapporo. Colorful and pop. And handmade goods with plenty of humor. It is the first sales event in Shizuoka for tomotomo. Pouch tailored with brand original print fabric,and smart case and bag charms. We have a lot of products that are perfect for gifts for women’s Valentine’s Day!! Look forward tomotomo world like pop art. Excitement to heart, not to be defeated by cold! ! 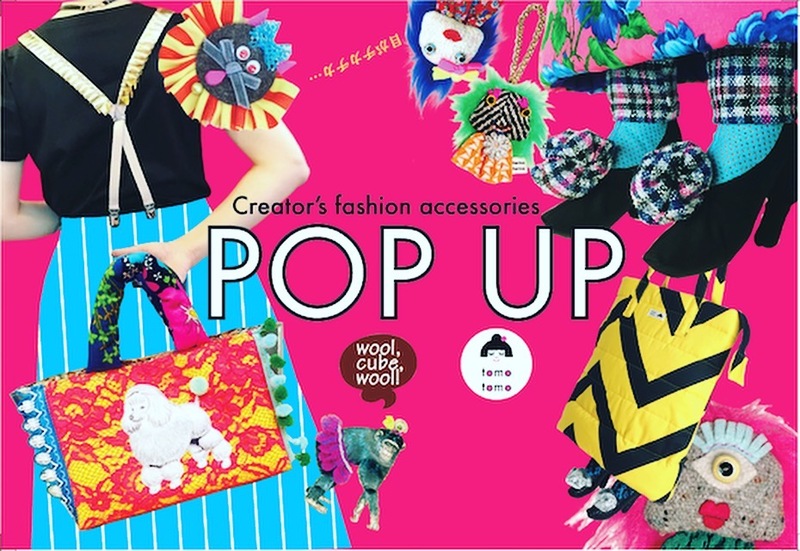 We will hold a pop-up shop of cute fashion miscellaneous goods. Continuing from the end of last year, this is the second twin tamagawa. When the Christmas atmosphere is overflowing into the city. This is my first event at Futago-Tamagawa. I am excited about what kind of customers I can meet. 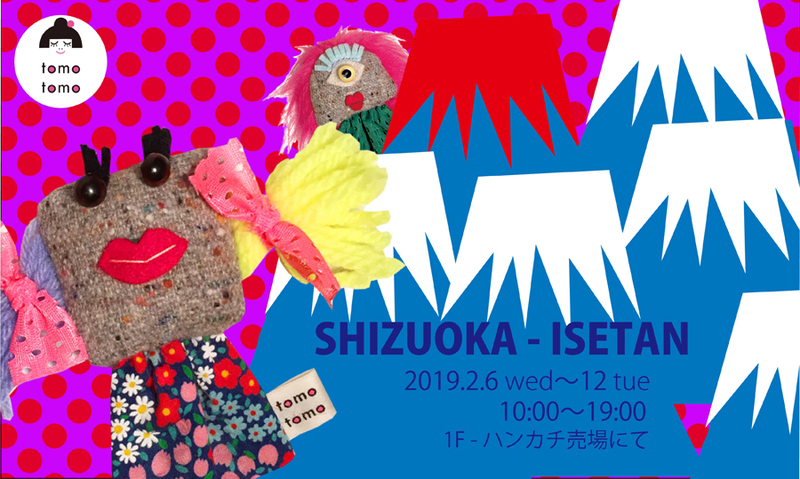 Tomotomo will participate for the first time this year at the popular event of Isetan Sagamihara store where about 20 creator brands participate. 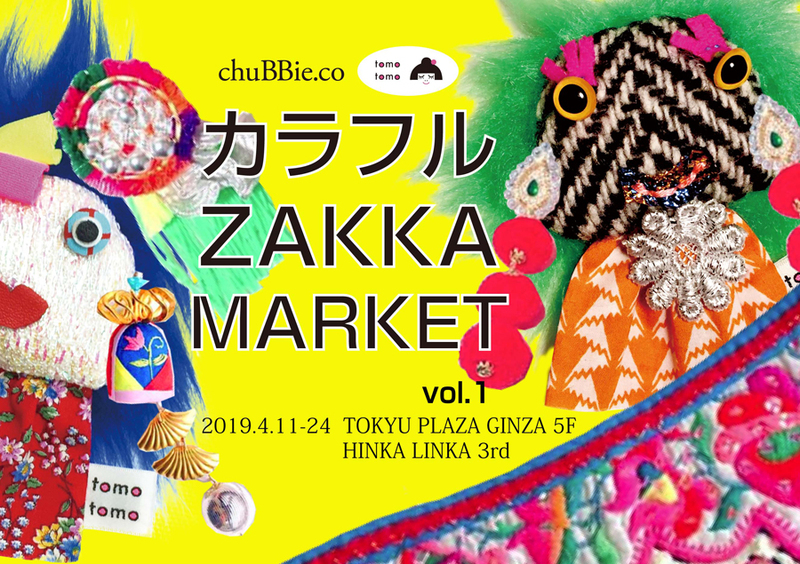 Of course, we are waiting for everyone at the full product lineup, such as Obake chan charm, as well as a unique bag wearing high heels “Lunlun Tote”, a big silhouette T shirt printed animal such as panda and cat. 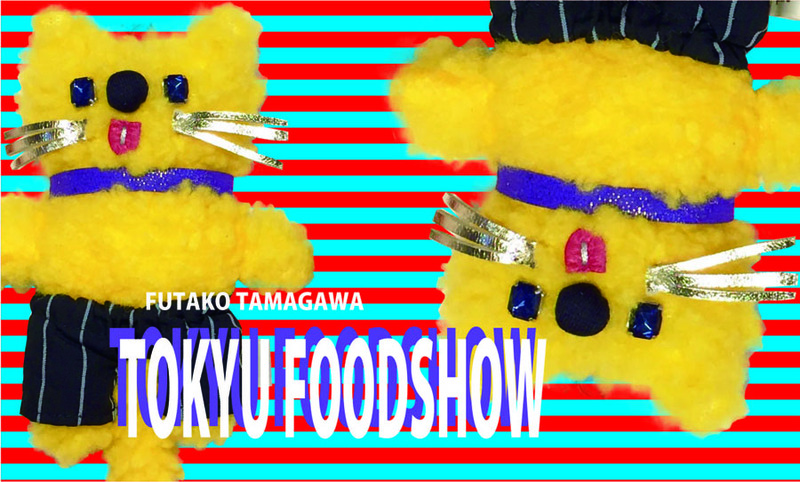 Please visit　and enjoy tomotomo colorful world!!. “Monomachi” is an event making thing to be held in Taito. It is the popular event of early summer. There are plenty of fun events such as work shops where you can experience making things and artwork sales by creators. For details, please see HP of monomachi. 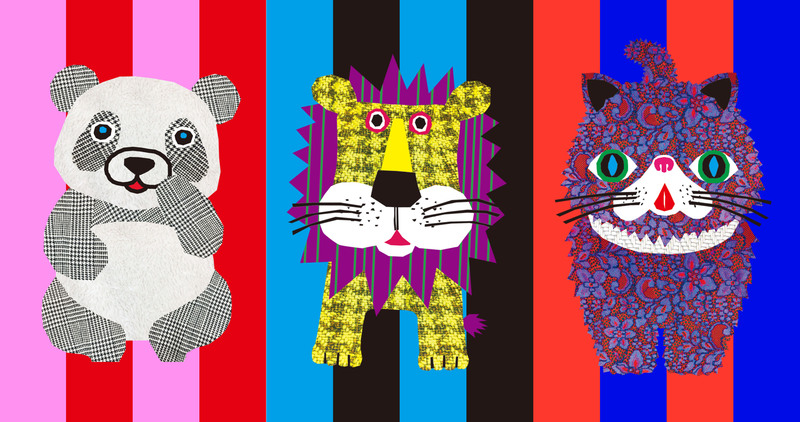 Tomotomo sells colorful and fun work such as new work「 Big T-shirts」. It is the first event participation in the Machida area. 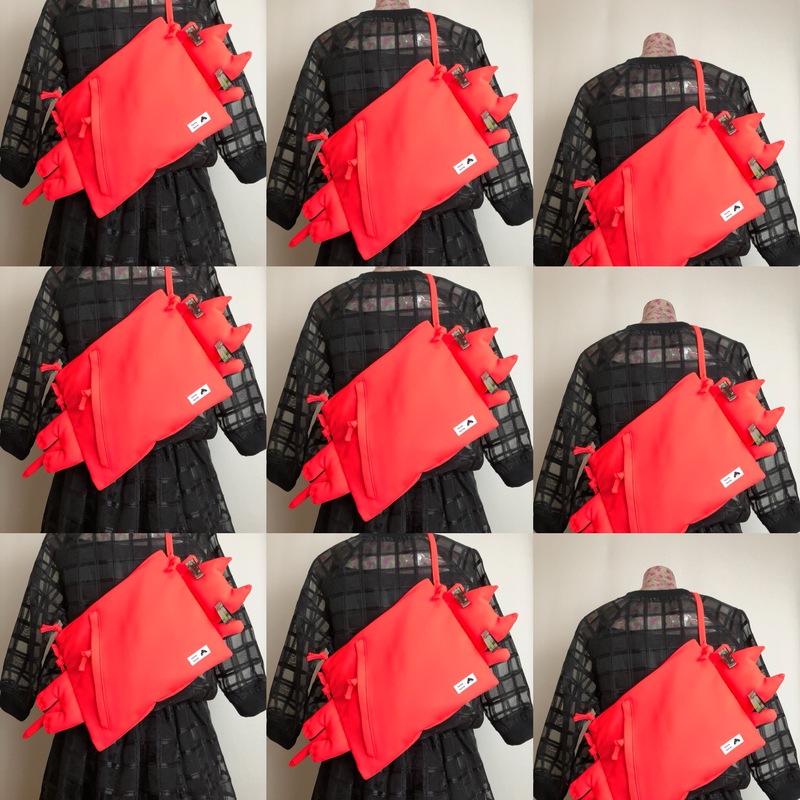 cloth accessories, bags　by creators and imported goods. 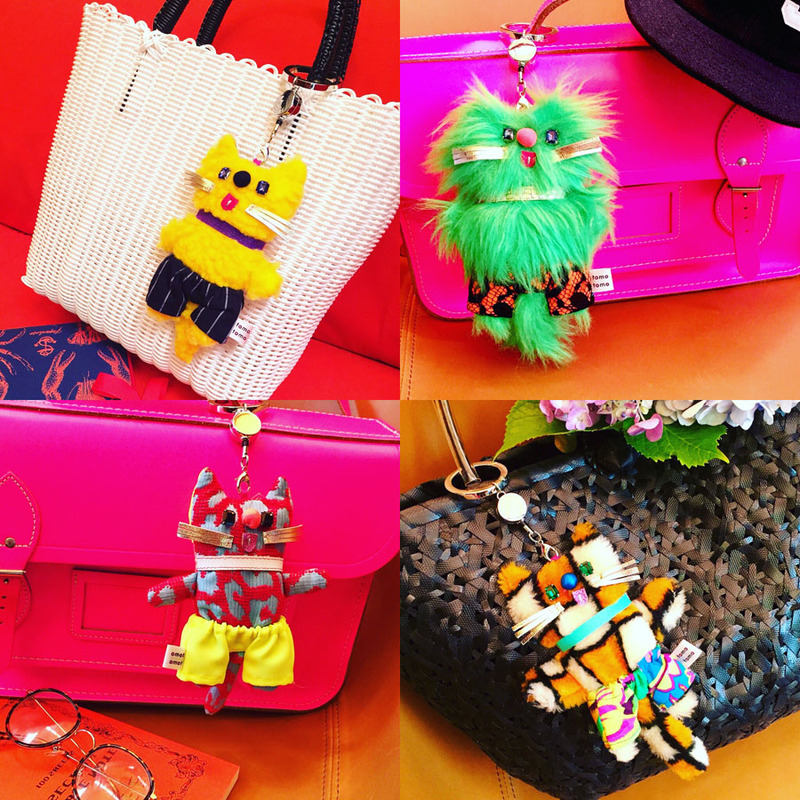 Tomotomo sells funny ghost and cats bag charms, smart case and unique bags. If you are nearby, please come and visit us.